The Calculator will wreak havoc in Star City despite the lame name. "This what happens when bad guys name themselves," Felicity says in the new trailer. She'll have to match wits with the newest baddie under her new codename Overwatch. Roy Harper (Colton Haynes) also returns but he's not in the 'Arrow' video promo unfortunately. 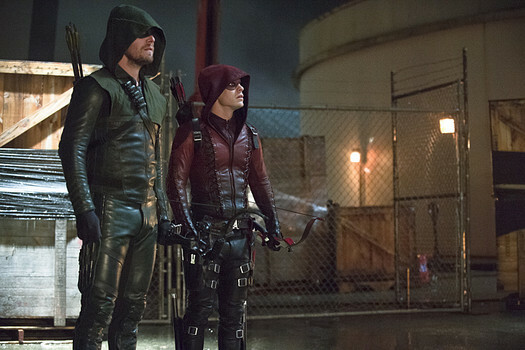 "Arrow" airs on Wednesdays on the CW. ROY HARPER RETURNS; NYSSA MAKES HER MOVE -- The team faces off against a formidable villain nicknamed The Calculator (guest star Tom Amandes). Meanwhile, Nyssa (guest star Katrina Law) makes her move and Roy Harper (guest star Colton Haynes) returns to Star City. Kevin Fair directed the episode written by Speed Weed & Beth Schwartz (#412). Original airdate 2/3/2016.